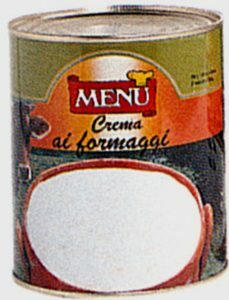 A very soft and smooth light-colored cream made with five cheeses of the finest quality: Swiss, Parmesan, taleggio, fontina, and gorgonzola cheeses, blended together with a touch of butter.This is the only cheese cream prepared with a special aseptic sterilization treatment and without preservatives. Excellent as a topping for penne, rice, and gnocchi. Blended with butter or cream it is excellent for pasta dishes. 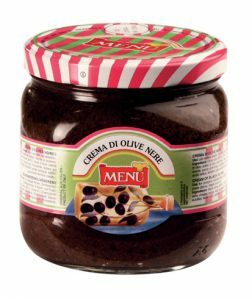 Also very good for sandwiches, canapés, vol-au-vents, scaloppini, and pizzas. A cream made from blended pitted green olives from Greece. 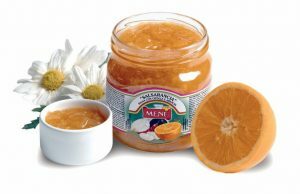 This cream is ideal for sandwiches, canapés, and very original pasta dishes. Pumpkin lightly baked and puréed to obtain a delicate cream, combined with flour and a little sugar. 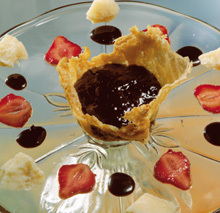 An excellent base for preparing various recipes, from sweet to savory dishes. For pasta dishes (rigatoni) and rice, with the addition of a little butter. It can also be used as a filling for pumpkin tortelloni and pies. 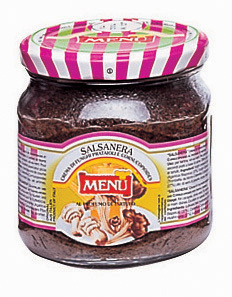 A cream full of truffle flavor and aroma, with the dark color that is typical of the French truffle and mushrooms. For canapés, vol-au-vents, pasta dishes, meat dishes. Excellent for preparing truffle pizzas. 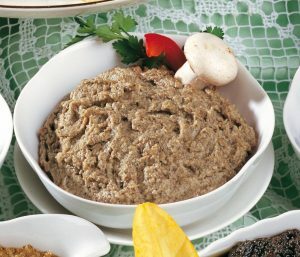 Fresh button mushrooms, finely chopped and blended with the essence of truffle. For canapés, vol-au-vents, pasta dishes, and meat dishes.